This pattern looks like a quilt made from woven sea grass but these 10 in. squares are actually made of vinyl with a touch of metallic gleam. 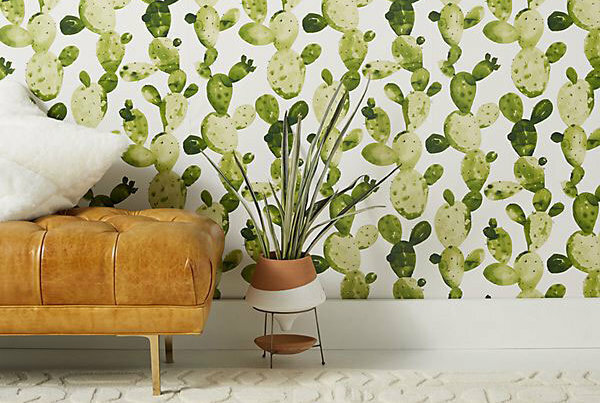 The heavily textured wallcovering is available in 5 hues including pale green with taupe or bright gold on gold. Because it is vinyl, count on this to be durable, scrubbable and long lasting as well as handsome. Partner with Vertical Fabric (Y6180501 - Y6180505) in the same palette. Color: Pale green/ taupe.